If you're looking for a way to cram all the awesomeness of a full-body boxing workout into one hour, then you've come to the right place! In this "Power Hour" class, you'll begin with a 15-minute warm up that will get your blood flowing and heart pumping, with exercises like stretching, jogging, jumping, squats, and more. Then, you'll move on to the main show -- boxing! 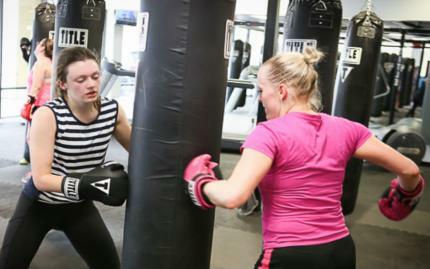 You'll work on and off professional punching bags as you execute rounds of 3-minute drills that consists of fast-paced but simple boxing combinations followed by a minute of active rest. Finally, you'll give your body a nice 15-minute cool down by using exercise gear and body resistance equipment that will make sure all your work sticks to your muscles. Are you ready to be the champion of the ring AND the gym? Then sign up today!